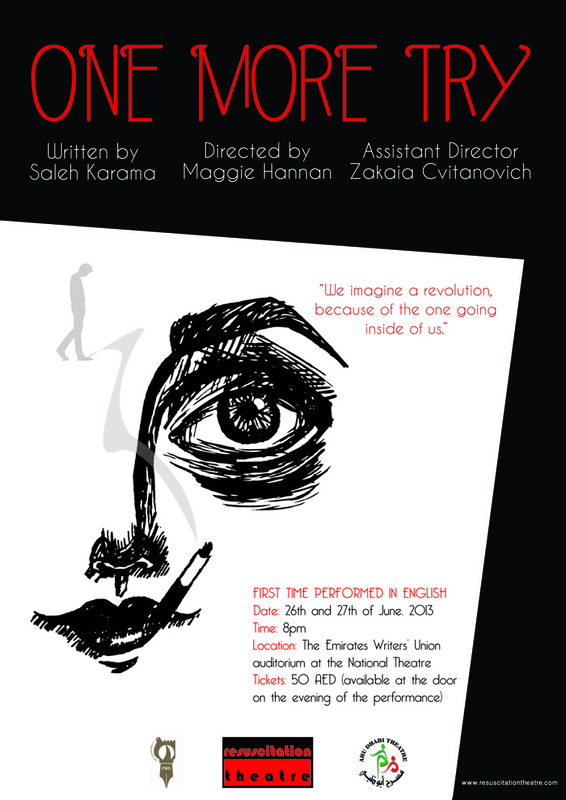 In a departure from its usual brand of resuscitating classic texts, Resuscitation Theatre is thrilled to collaborate with the award winning Emirati playwright, Saleh Karama in producing his compelling, drama One More Try, which tells the story of Baya, a woman in prison for murder, Toufic, her attorney, and Betina, the woman she spared. Saleh Karama is an established Emirati novelist, playwright, screenwriter and director, and one of the founders of Abu Dhabi Theatre in 1977. 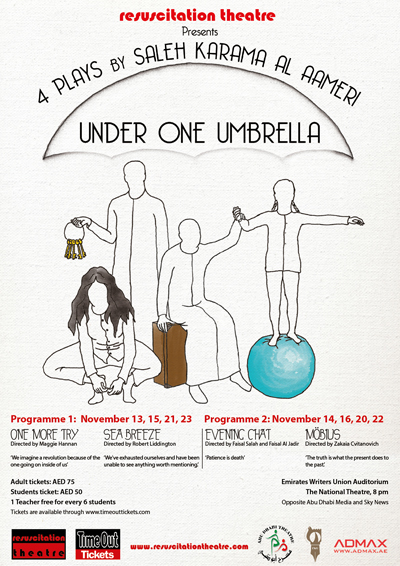 One More Try, under the name of Try Again, won the best playwright award at Cairo’s Arab Theatre Festival in 2007. 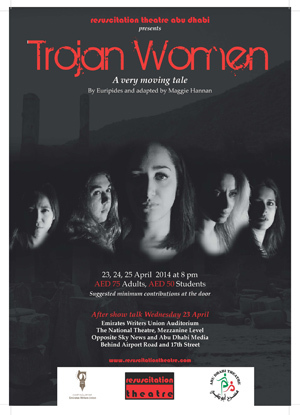 This gripping 1 act play will keep captivate audiences right up until its surprising ending. 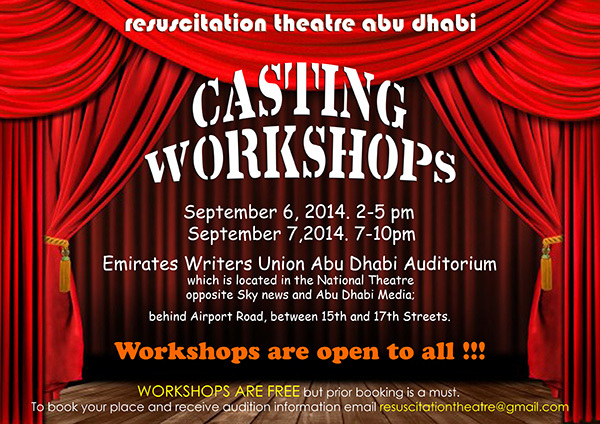 Performances at The Emirates Writers’ Union auditorium at the National Theatre (Opp. 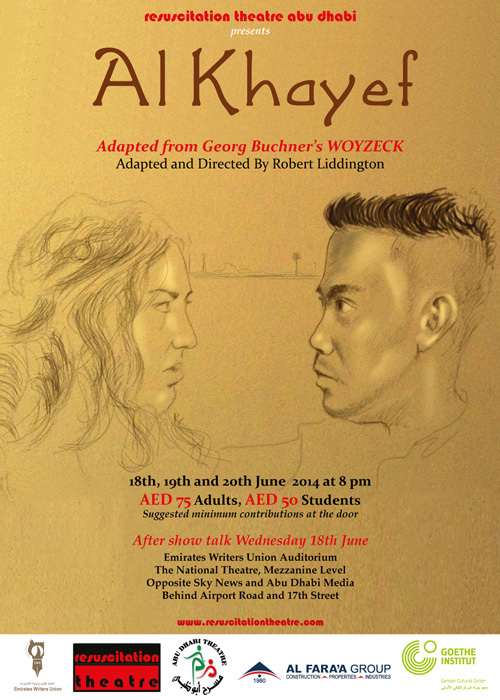 Abu Dhabi Media) on 26th and 27th of June at 8pm. 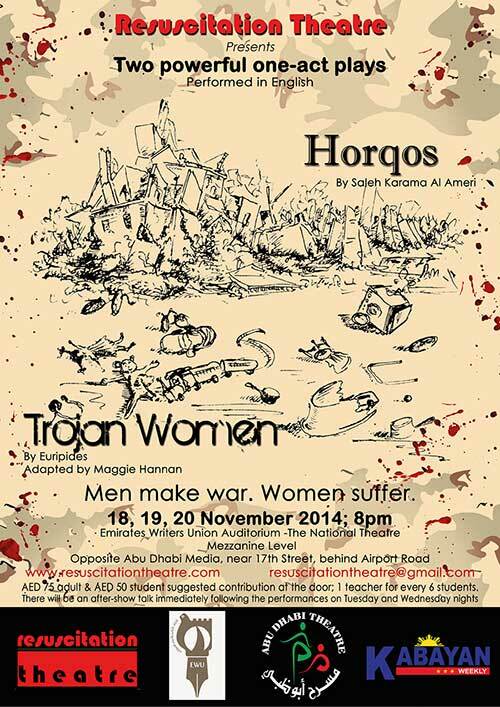 Tickets are AED50 and will be available at the door on the evenings of the performances.